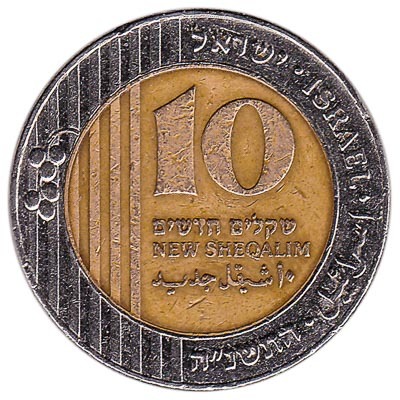 The 5 Israeli new Sheqalim coin weighs 8.2 grams and has a diameter of 24mm. 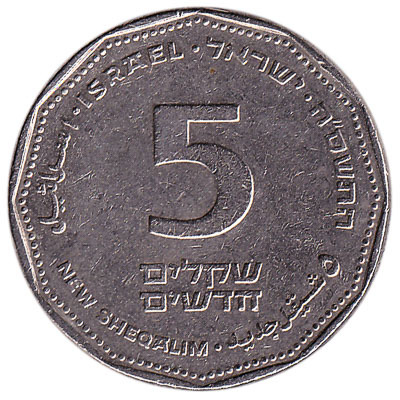 The copper-nickel 5 new shekels piece features the capital of a column. 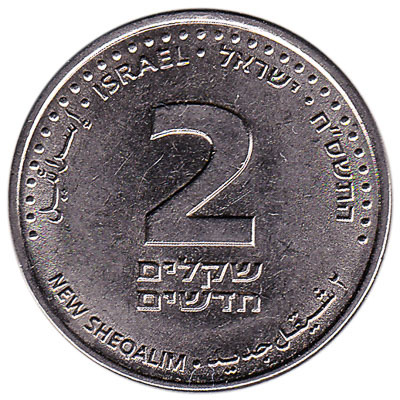 The 1 new Israeli shekel coin weighs 4 grams and measures 17.97mm accross. 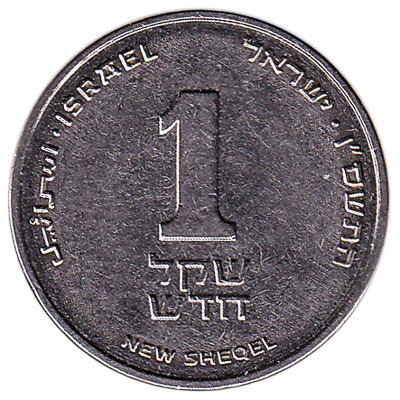 The flower on the back side of the copper-nickel one shekel piece is a lily. 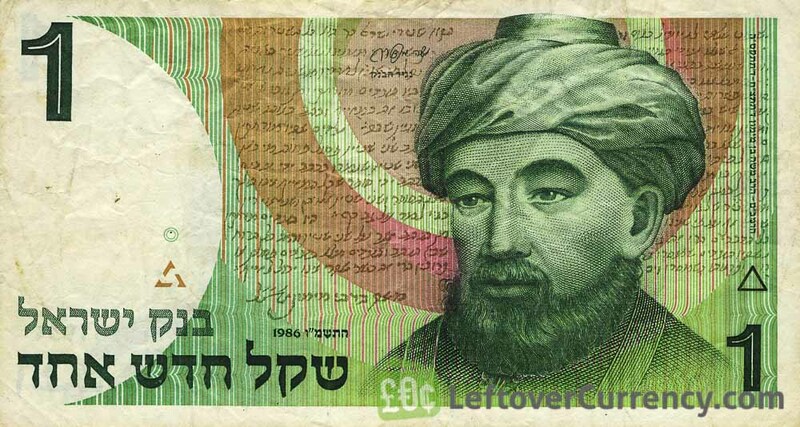 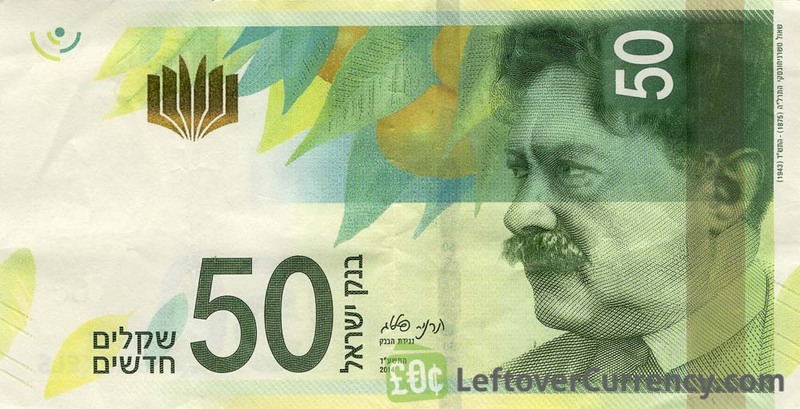 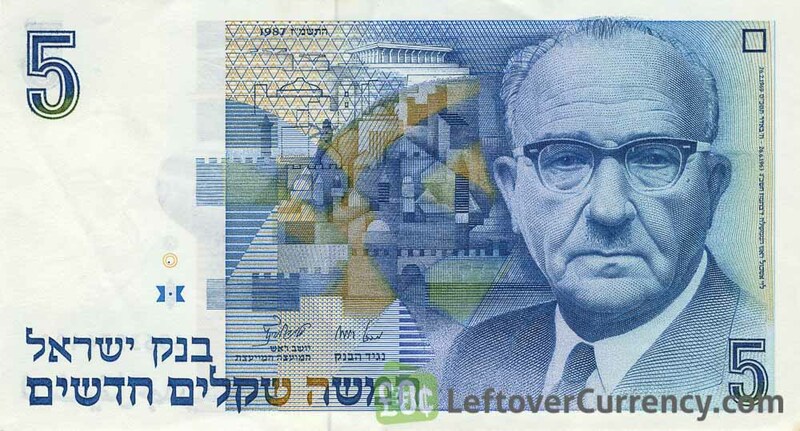 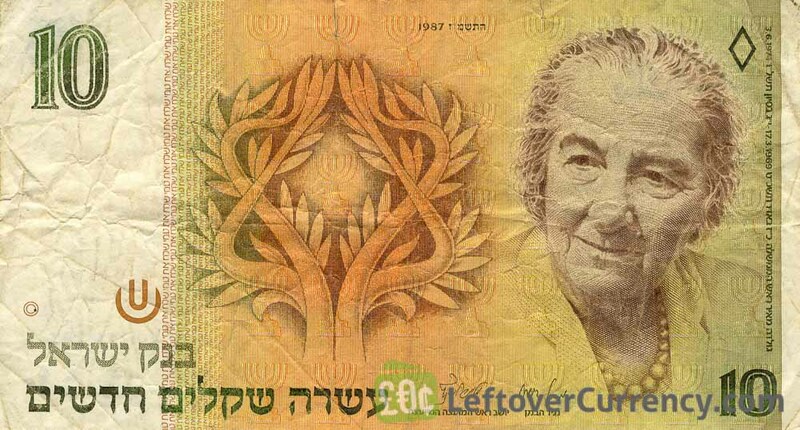 This twenty new sheqalim note features the image of Moshe Sharett, Israeli politician. 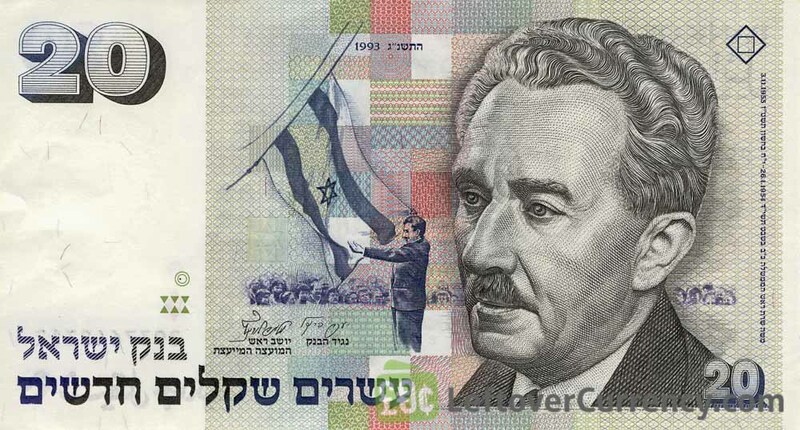 Printed on the 20 ILS banknote is the text ‘Bank of Israel’.